After 36 hours in Finland, it was time to go home. I really enjoyed my short visit in Helsinki so I wasn’t quite ready to go. I had arrived quite early at the Helsinki Airport since I wanted some avgeek time, snapping photos and checking out the Finnair Lounge. This was only my second flight on Finnair ever and my first one was just days before from Paris to Helsinki. This was an intra-European flight on an A321 in Economy. I was left unimpressed but I was pretty tired so I slept the whole flight. I was looking forward to an upgraded experience in Finnair Economy Comfort. As a OneWorld Sapphire or Emerald elite, one receives complimentary access to Finnair Economy Comfort seats. 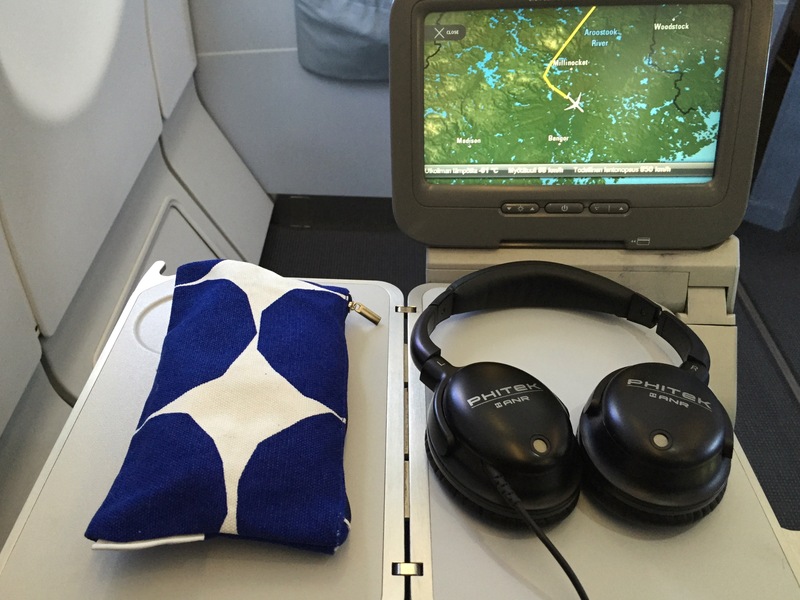 Keep in mind that Finnair Economy Comfort is not a separate class of service. It’s a bit of a hybrid between American’s Main Cabin Extra and a true Premium Economy cabin. It includes extra legroom, priority boarding in the front of the economy cabin, amenity kits, and noise-cancelling headphones. After spending a solid 2 hours in the Finnair Premium Lounge, I was ready to start the journey home. 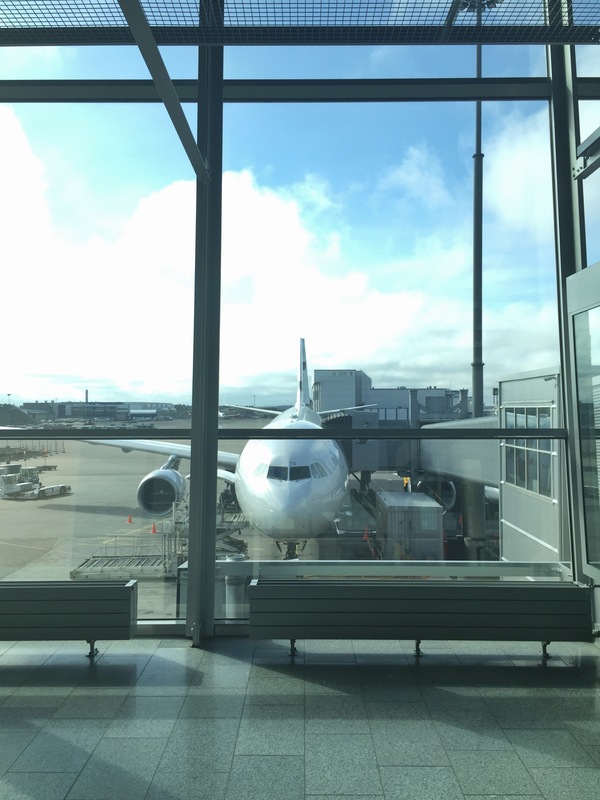 My gate was located directly adjacent to the Finnair lounges so my walk from lounge to gate was short. I headed to the gate about 10 minutes before boarding was scheduled to start but we ultimately boarded about 10 minutes later than scheduled. 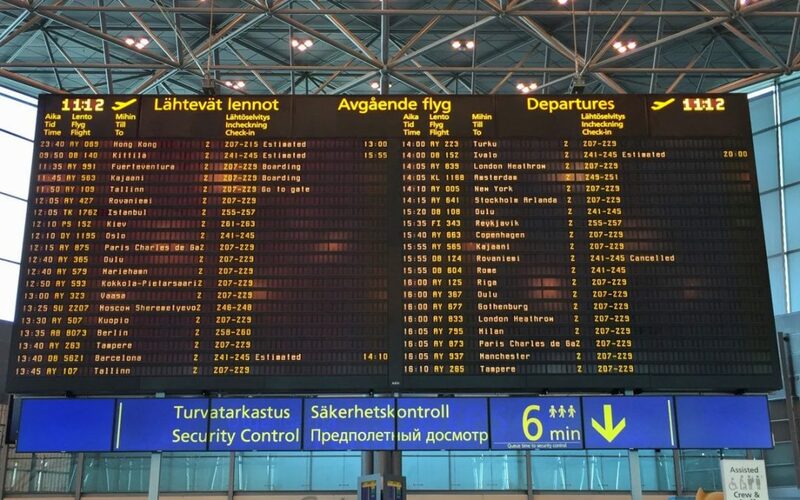 Finnair boards by group number in a method similar to United Airlines. Group 1 boards first which includes Business Class, Finnair elites, OneWorld elites, and those seating in Finnair Economy Comfort. 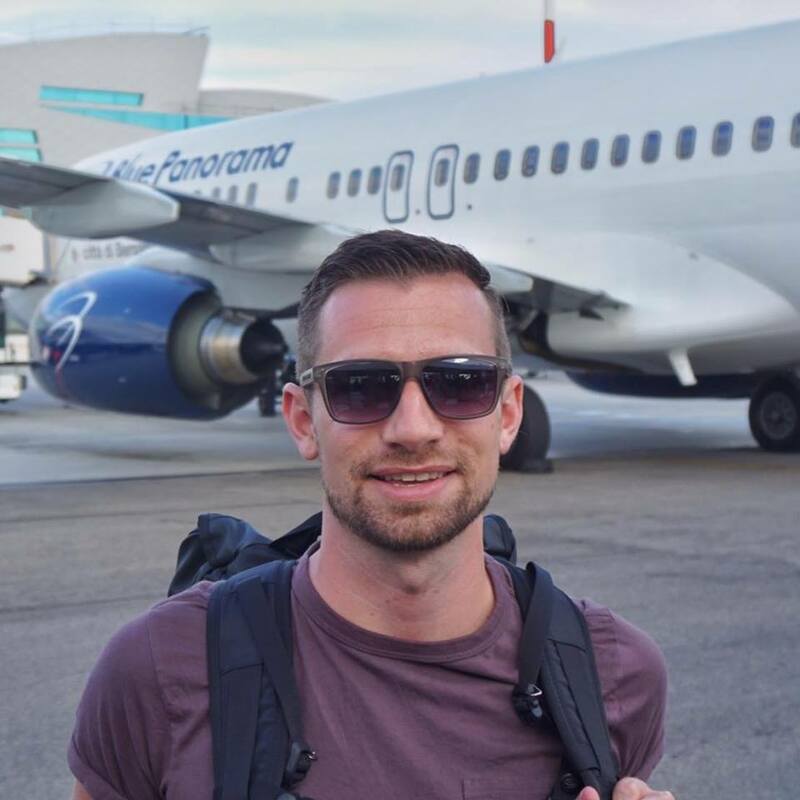 Once aboard, I took my bulkhead seat at the very front of the Economy cabin. Economy Comfort seats are well marked by the headrest covers. 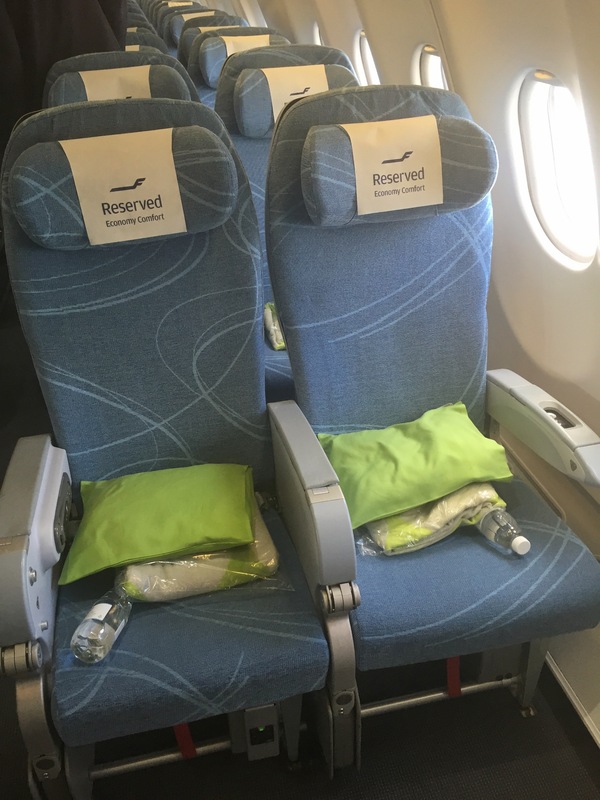 Finnair will go out of their way to let the main cabin know that there are empty Economy Comfort seats available for purchase. On this particular flight, the upgrade cost was €60. A few hours before departure, I checked the seat map and it showed all the seats in Economy Comfort as blocked. After boarding, however, I was surprised to learn that the Economy Comfort section was less than half full. I found myself with an empty seat next to me. And wile I had no shortage of legroom in my bulkhead row, the immovable arm rests restricted me from fully enjoying an empty seat next to me. In fact, I find Finnair’s seats to be among the narrowest. While I didn’t pull out a measuring tape, this was my perception and I’m a thin guy. 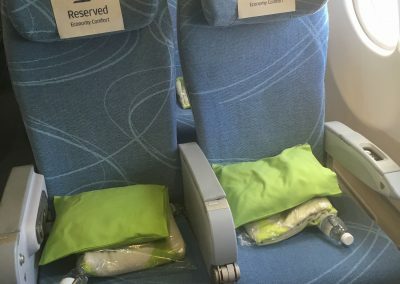 Blankets, pillows, and bottled water were on each Economy Comfort seat at boarding. 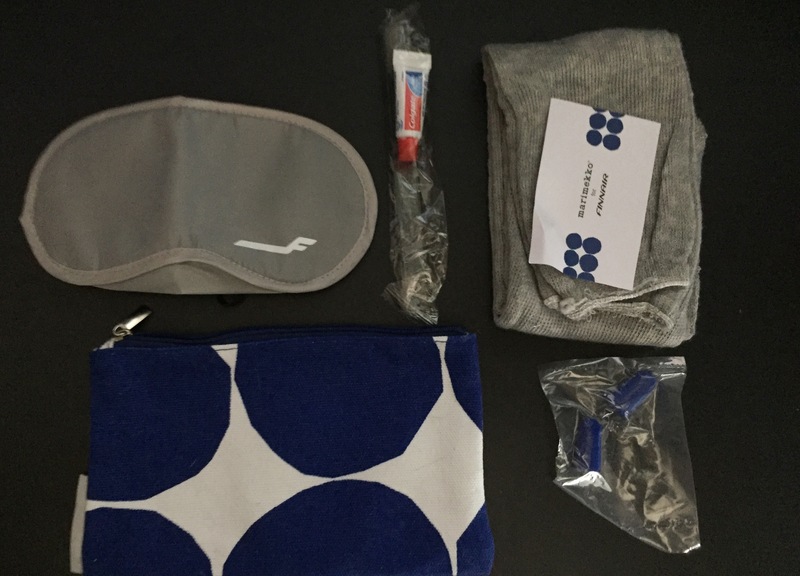 Once we reached cruising altitude, noise-cancelling headphones and amenity kits were handed out to passengers in Economy Comfort. Finnair likely does this so they can distribute these items after passengers in standard Economy who choose to “upgrade” have had a chance to do so. The amenity kit is designed by Marimekko. The noise-cancelling headphones are from a brand I’ve never heard of. While they weren’t Bose, they were a nice touch for Economy and did the job. This flight was just a hair over 8 hours and with a 2:30 PM departure from Helsinki, lunch was served shortly after departure and a pre-landing snacking before landing in New York. I was pretty tired so I intended to get a good nap after lunch. Finnair likes to be quite specific with their in-flight procedures. For example, passengers are informed that complimentary alcohol is only available with the first meal. There is a charge for alcohol after that. I find this policy to be a bit odd. Once we were at cruising altitude, drink carts came out to offer drinks, followed shortly by lunch trays. There were options of chicken or vegetarian noodles. I opted for the chicken noodles which was served with bread, cheese, crackers, a cold salad, and a brownie. 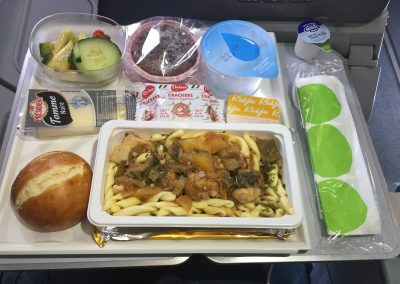 Meals are identical to standard Economy. 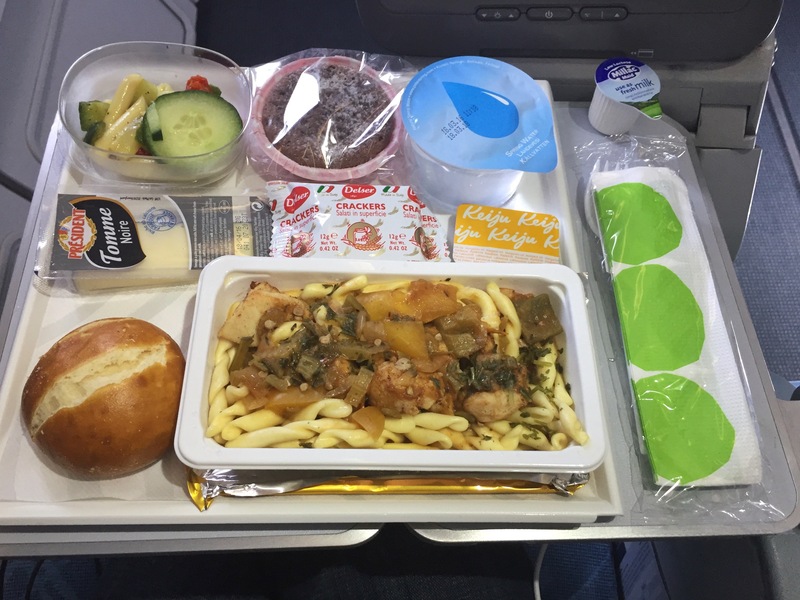 It was a pretty standard airline Economy meal with not too much to rave or complain about. Meal service was polite and the crew always had a smile. I was ready for a nap after lunch so I dozed off for about 2 hours after watching a bit of “The Big Short” on the in-flight entertainment (IFE). the IFE was pretty standard although the flight map feature wasn’t as interactive as some of the new IFEs. The English movie selection was decent. After my naps, I finished “The Big Short” and watched some Amazon Prime shows. About 90 minutes before landing, the second meal was brought out. It was more of a snack with a chicken curry sandwich. I’m not a fan of mayonnaise-saturated sandwiches so I won’t judge this one. After a nice long approach over Long Island, we finally landed at New York JFK and taxied to Terminal 8. My scheduled connection was about an hour and we arrived about 10 minutes late. It took a good 10 minutes for the doors to be opened to the jetway and everyone on board was eager to deplane. I was connecting a Connection Express pass to shortcut the line with Customs. However, I have Global Entry which was even faster and I was through Customs in 5 minutes. 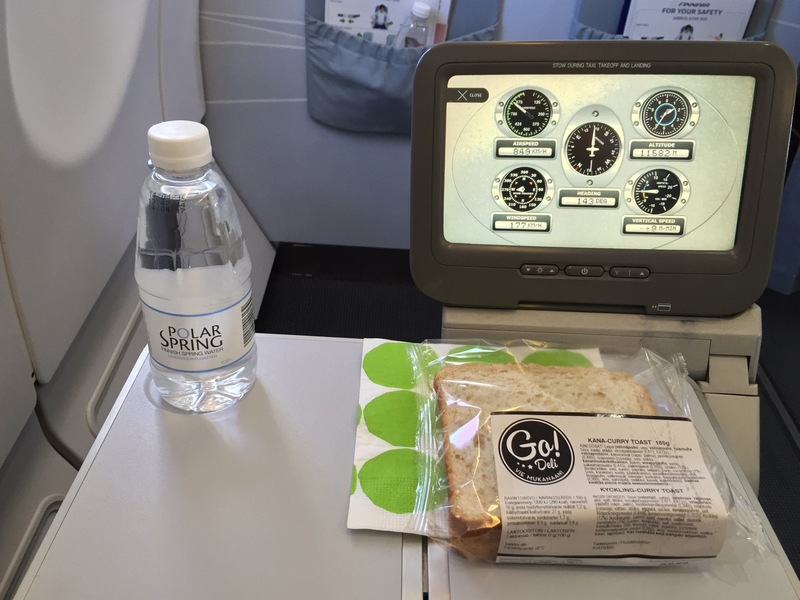 All things considered, I had a pleasant long-haul flight with Finnair by Economy standards. I think the extra amenities and legroom add a lot of make the journey more comfortable. Again, while this isn’t a true “Premium Economy” product, it’s more than just a couple extra inches (or centimeters) of legroom. 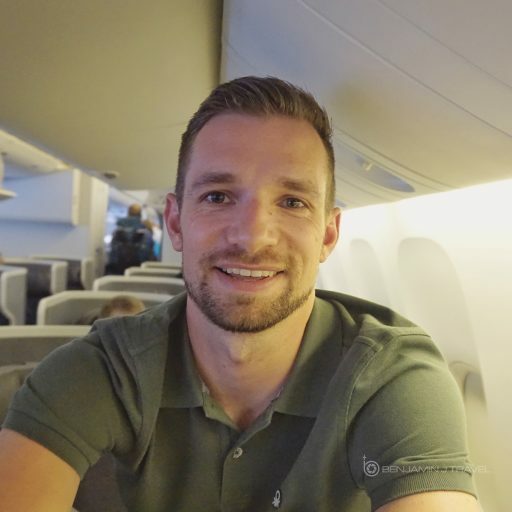 And as a OneWorld elite, it was even better than I didn’t have to pay extra for this mini-upgrade. 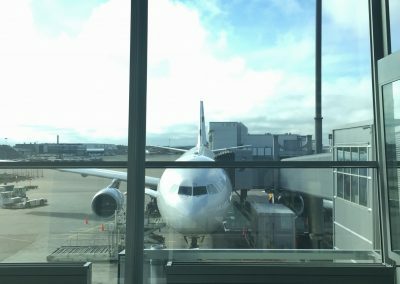 As a whole, I found Finnair to be a very pleasant airline for long-haul flights. The crew was polite and friendly, even if a bit reserved. Don’t expect the crew to chat it up. But they run an efficient operation with just an extra dash of comfort.